The French economist Marie Esprit Leon Walras influenced modern economic theory by his discovery of the general equilibrium theory, which was designed to include within a single logically coherent model the theories of exchange, production, capital, and money. Leon Walras was born in Évreux, Eure in Normandy, son of the economist Auguste Walras, who was forced by the low esteem in which economics was held in France in his day to waste his talents in the performance of administrative functions within the French centralized system of education. Auguste vowed to realize his cherished ambition to renovate economics and place it on a firm scientific basis through his son. This is precisely what Leon eventually did. Leon's initiation in economics was late, hesitant, and singularly unpropitious. He was self-taught, having had no one but his father to guide his first steps, for there was no provision in the curriculum of French universities up to the 1870s to train professional economists. To satisfy his parents, who were eager to see him assured of a recognized career, he enrolled in the Paris School of Mines in 1854 after twice failing, for want of adequate mathematics, to gain admission into the prestigious Polytechnic School. Finding engineering distasteful, he neglected his studies and never became a mining engineer. Instead, he wrote novels (Francis Sauveur and La Lettre), but in 1858 his father persuaded him to abandon his literary pursuits and become an economist. With this in view Walras tried his hand first at journalism, then as an employee on the clerical staff of a railway company, then as manager of a bank for cooperatives, and finally as secretary in a private bank, until he was called in 1870 to occupy a newly founded chair in political economy at the Academy (later the University) of Lausanne in Switzerland. He owed this call to his early economic publications in book and journal form, and particularly to his participation in an International Congress on Taxation held in 1860 at Lausanne, where he had impressed Louis Ruchonnet, a young lawyer destined to become a leading Swiss statesman. In the formative pre-Lausanne years Walras's attention had been devoted almost exclusively to working out normative principles inspired in the main by his father's ideas. At Lausanne, however, where he could call upon the aid of his mathematical colleagues, he began systematically to lay theoretical foundations for his father's and his own pet policy proposals. These proposals aimed at a "socialist" regeneration of society through the nationalization of land to be acquired by repurchase and through the state ownership of such enterprises as could not operate under conditions of perfect competition. The underlying purpose of his mathematical model was to define the limits within which free enterprise could contribute to maximum social welfare. He also advocated a scheme for the long-run stabilization of the purchasing power of money by means of a regulatory silver token currency. 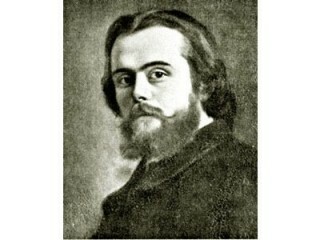 In the course of developing his pure theory, Walras utilized his independently, but belatedly, discovered theory of marginal utility to derive more rigorously than any of his precursors the relationship between the utility function and the demand function. His theory of production, or of the determination of prices of production services, foreshadowed the modern conception of linear programming. His theory of capital formation was formulated as a theory of the determination of prices of capital goods. His theory of money represented a heroic attempt to integrate the monetary sector with the real sector of the economy instead of considering them as dichotomized entities. The concept of "desired cash balances," which he utilized in his definitive statement of monetary theory, largely anticipated the Keynesian liquidity-preference approach. The appearance of the first edition of Walras's Ãlements d'economie politique pure (1874-1877) marked a major event in the "marginal revolution" of the 1870s. For all its novelty his contribution still remained within the classical tradition. However, he drew his inspiration directly from celestial mechanics. Making use of the models and methods of earlier mathematical economists, especially A. N. Isnard and A. A. Cournot, he created a well-defined theory of a network of interrelated markets which had been only vaguely and intuitively perceived by his classical predecessors. In 1892 Walras retired from teaching. Besides producing his third and fourth substantially revised editions of the Ãlements in 1896 and 1900, he published two volumes of collected papers: the Ãtudes d'economie sociale (1896), dealing primarily with distribution considered from a normative standpoint; and the Ãtudes d'economie politique appliquee (1898), containing applications of his theory to monetary policy and the organization of production. Since his death in 1910, his renown as an innovator of modern trends in economic theorizing has never ceased growing. Walras's major work was translated by William Jaffeas Elements of Pure Economics (1954). The principal source of biographical material on Walras is William Jaffe ed., Correspondence of Leon Walras and Related Papers (3 vols., 1965). Joseph A. Schumpeter, History of Economic Analysis (1954), contains the most readily accessible summary of Walras's theory and is recommended for historical background. More technical discussions of the Walrasian model are in Don Patinkin, Money, Interest and Prices: An Integration of Monetary and Value Theory (1956; 2d ed. 1965); Robert E. Kuenne, The Theory of General Economic Equilibrium (1963); and Bent Hansen, General Equilibrium Systems (1970).